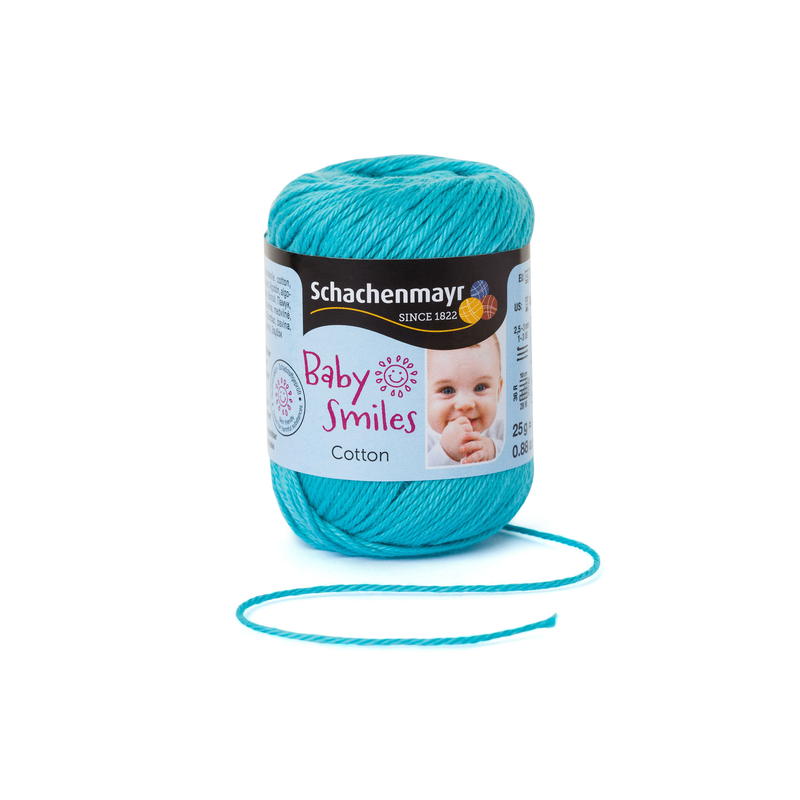 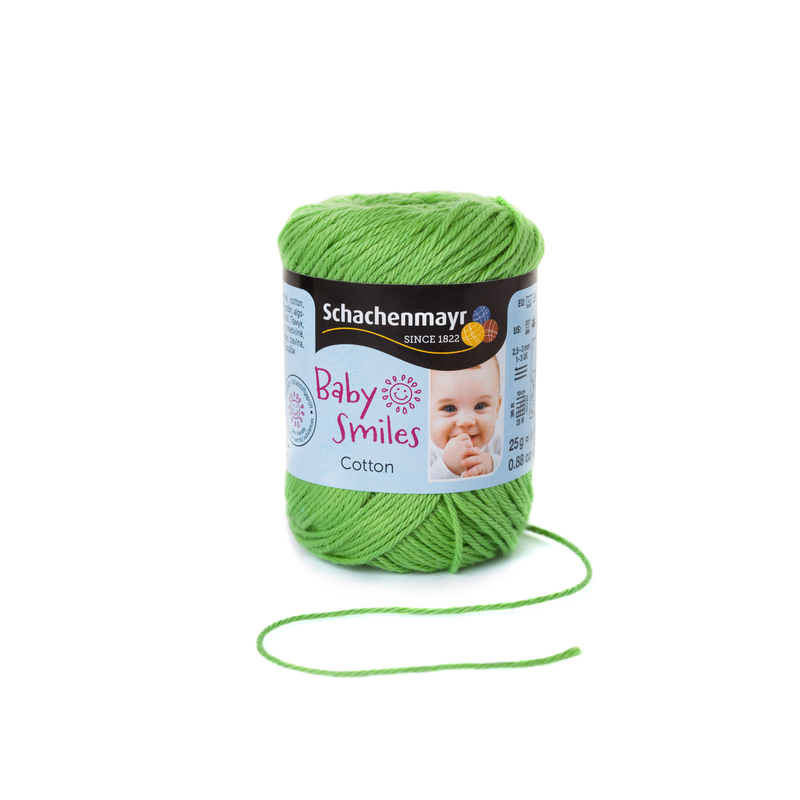 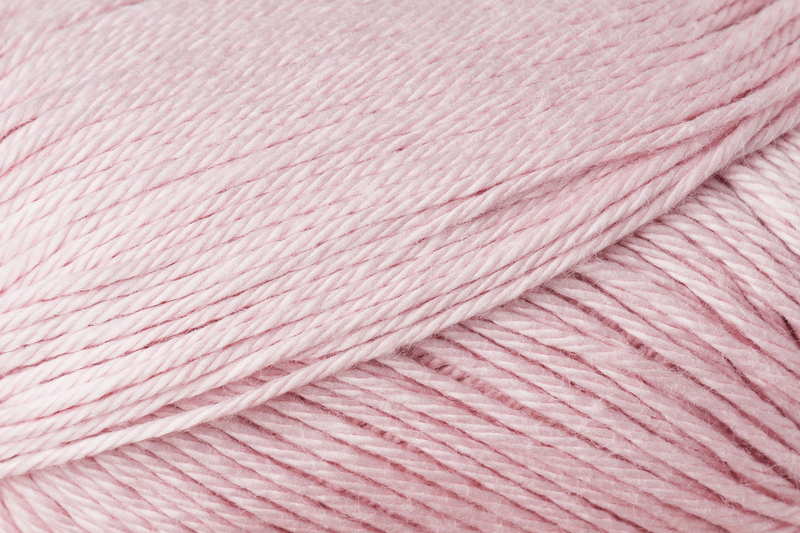 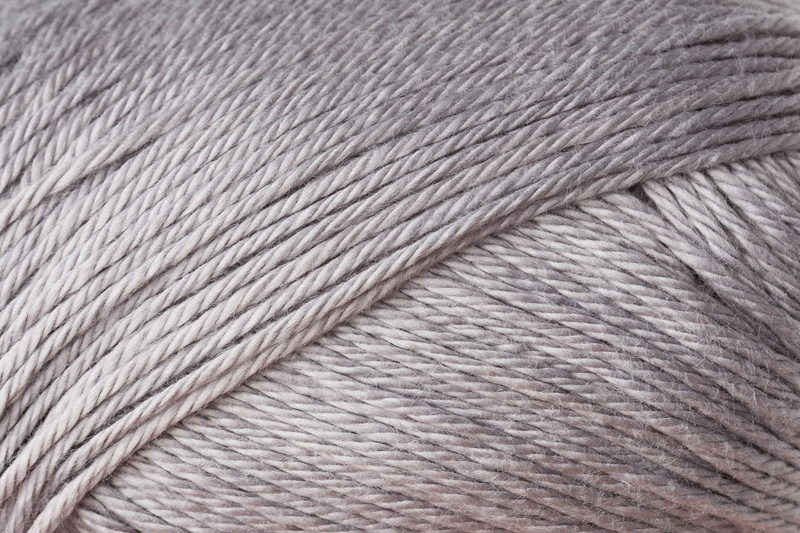 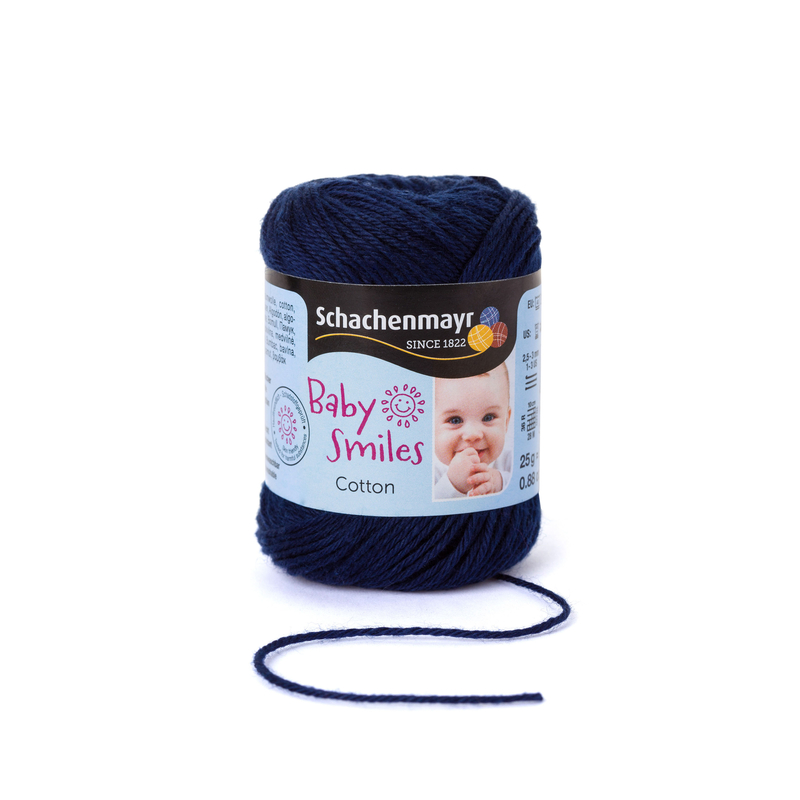 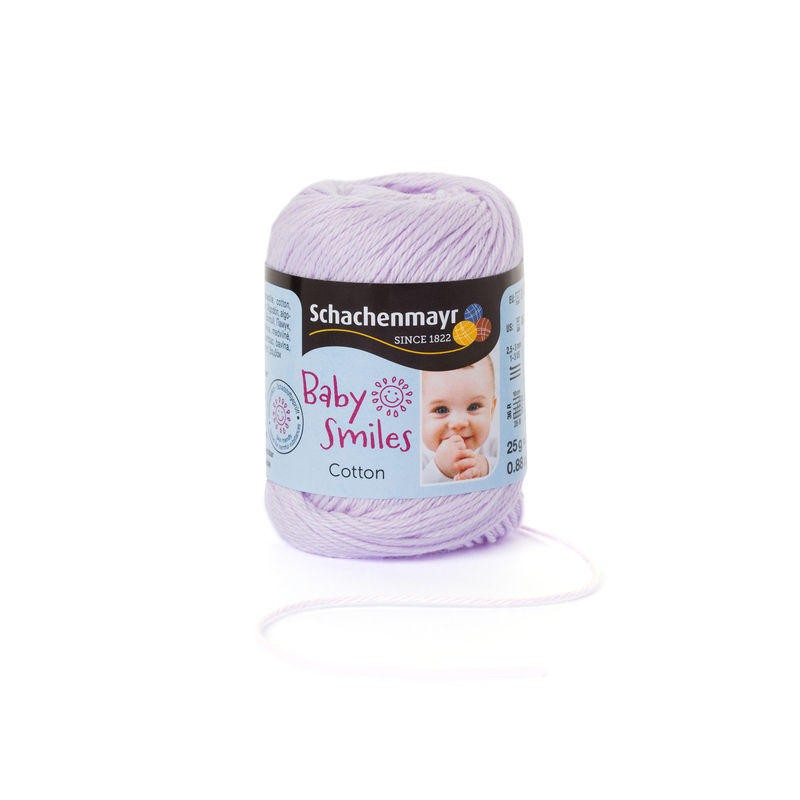 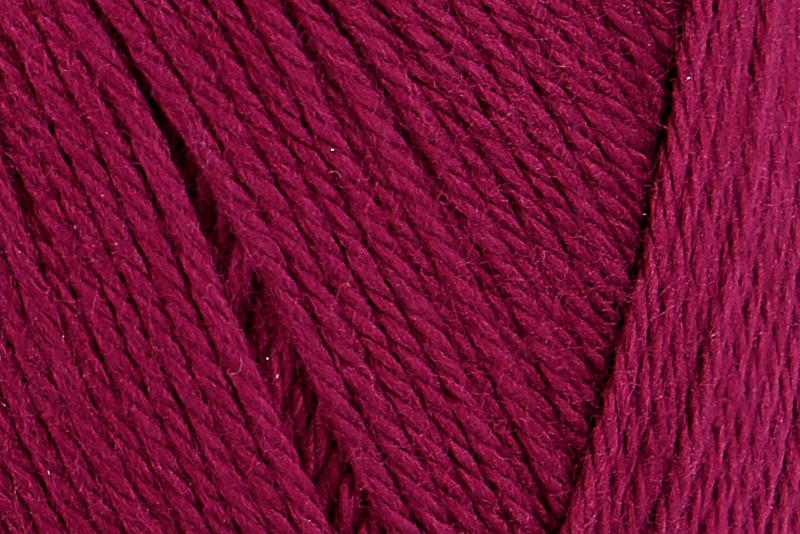 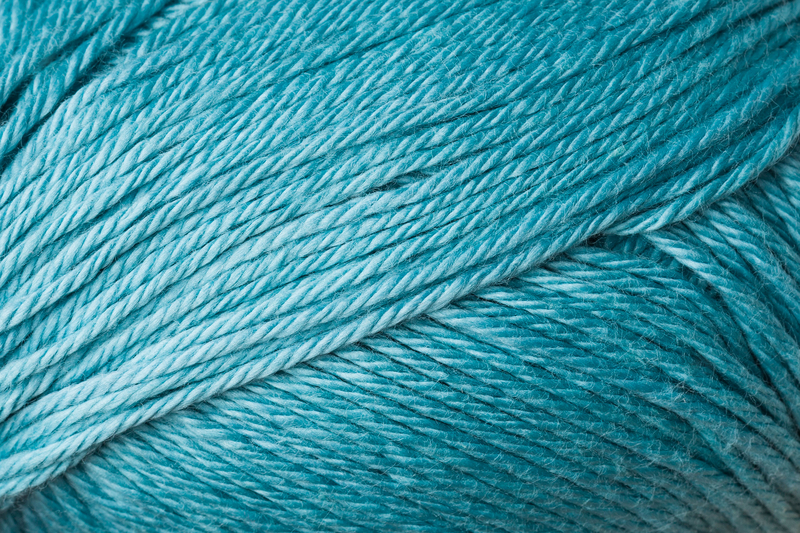 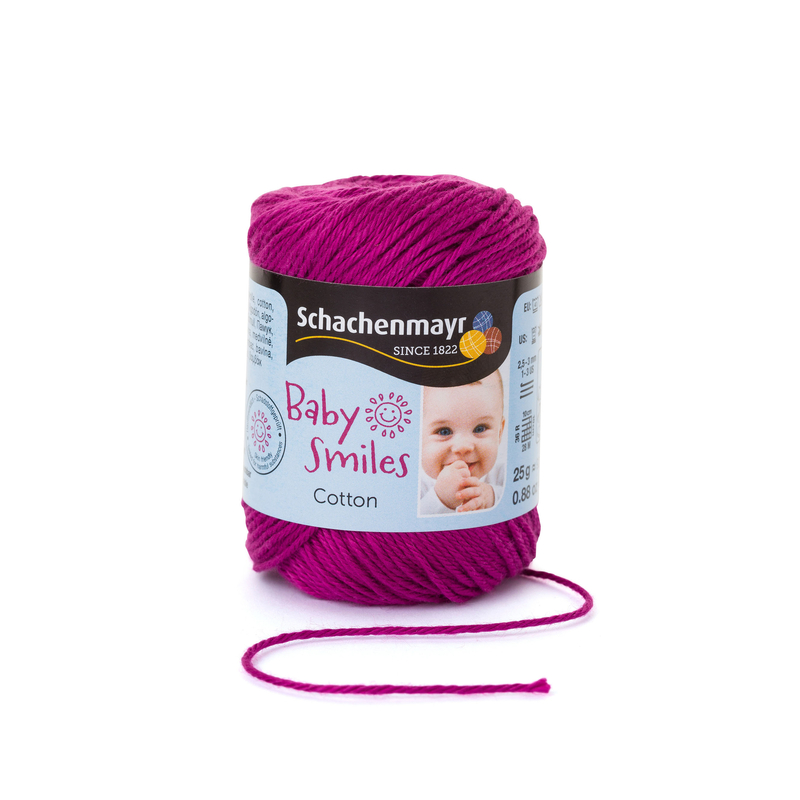 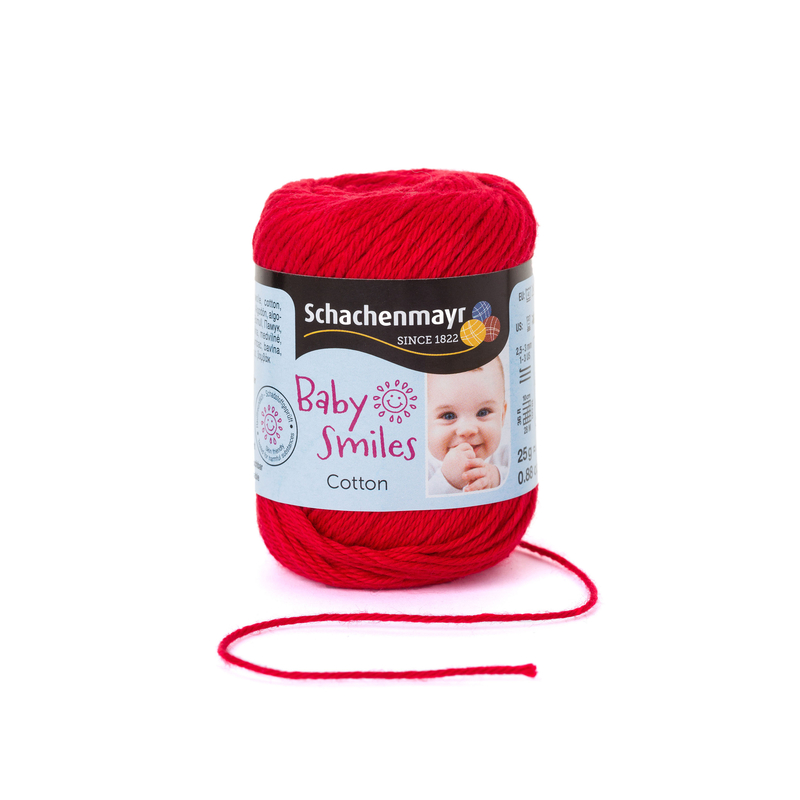 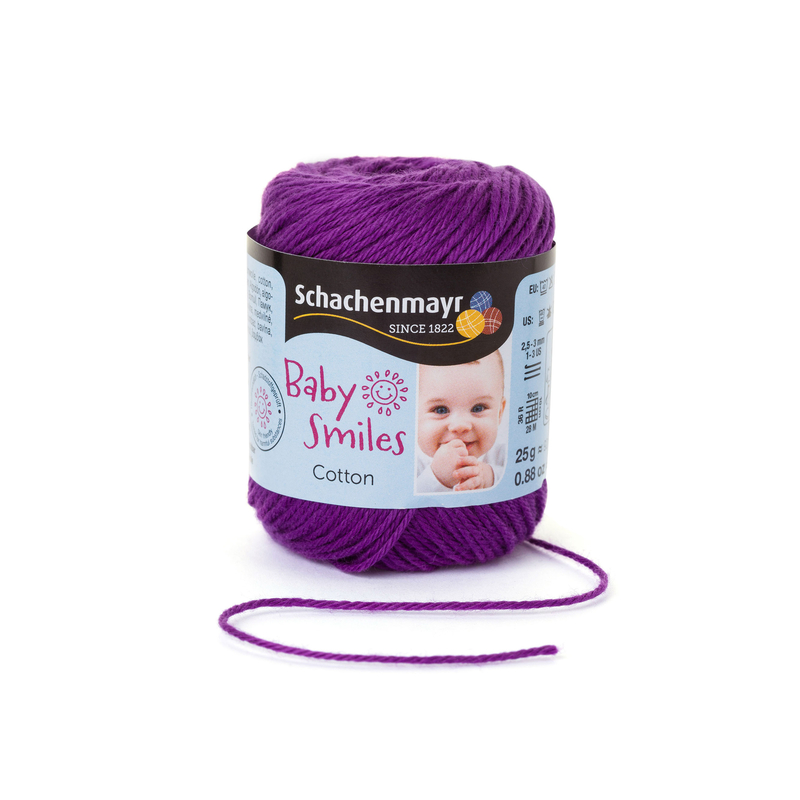 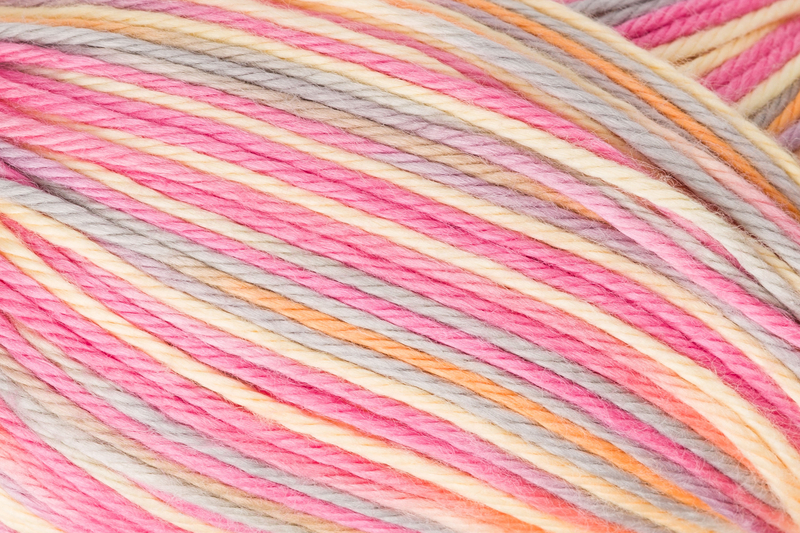 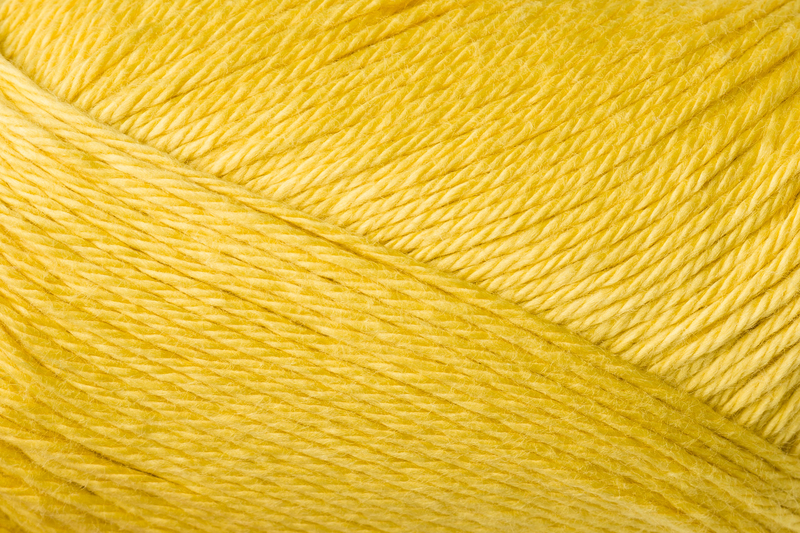 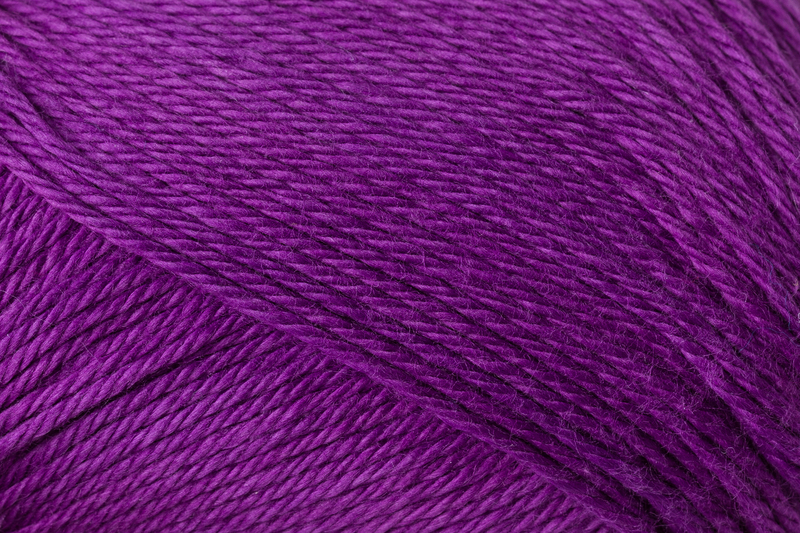 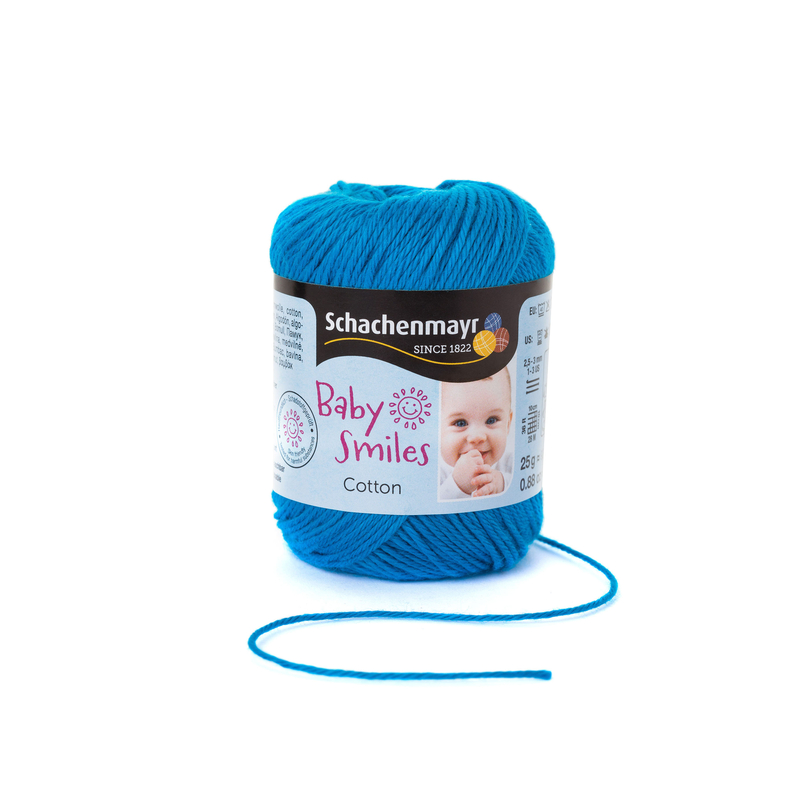 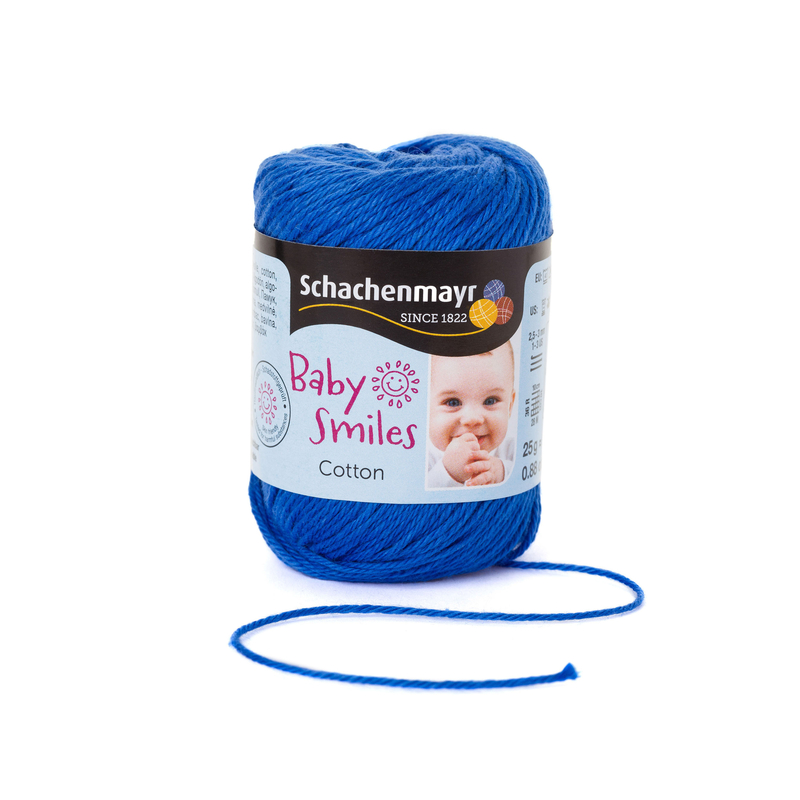 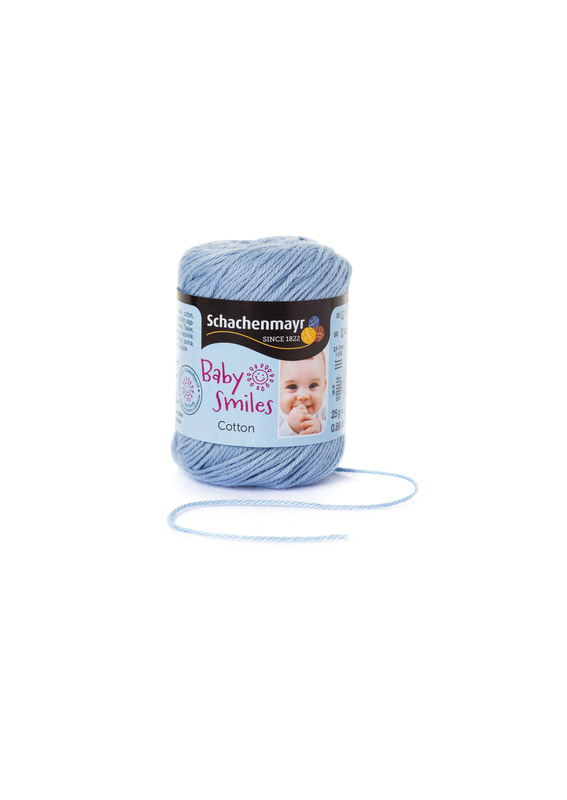 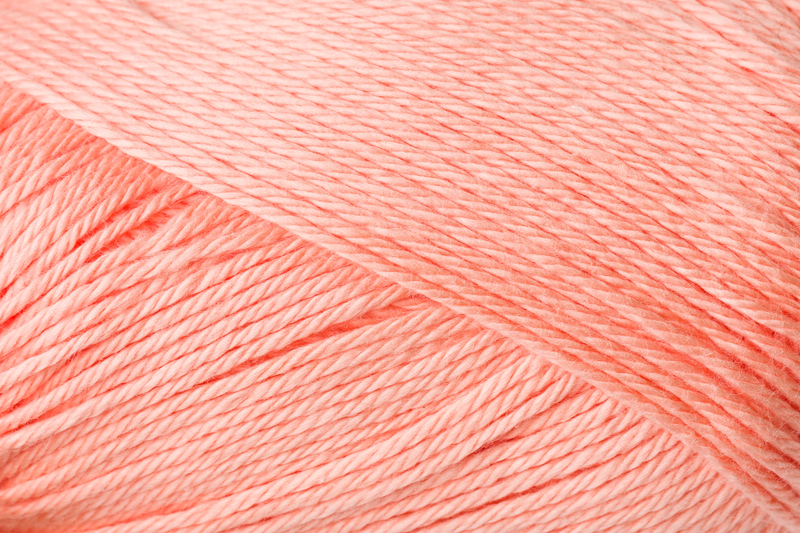 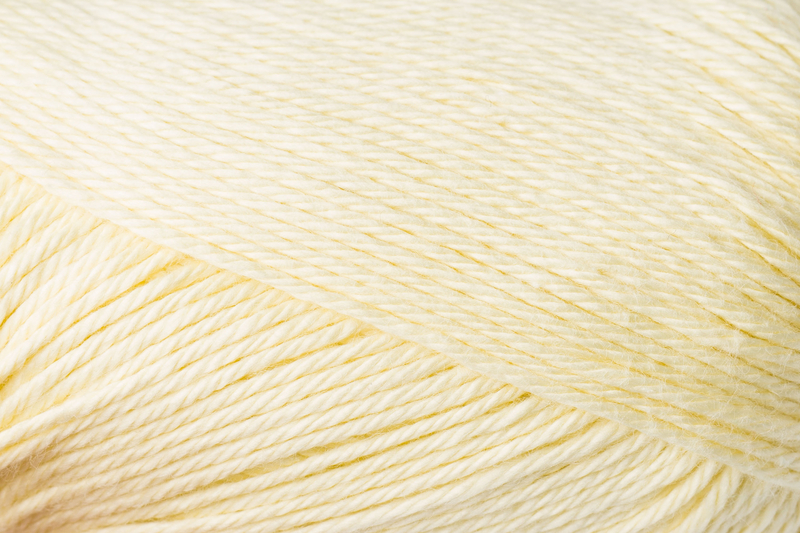 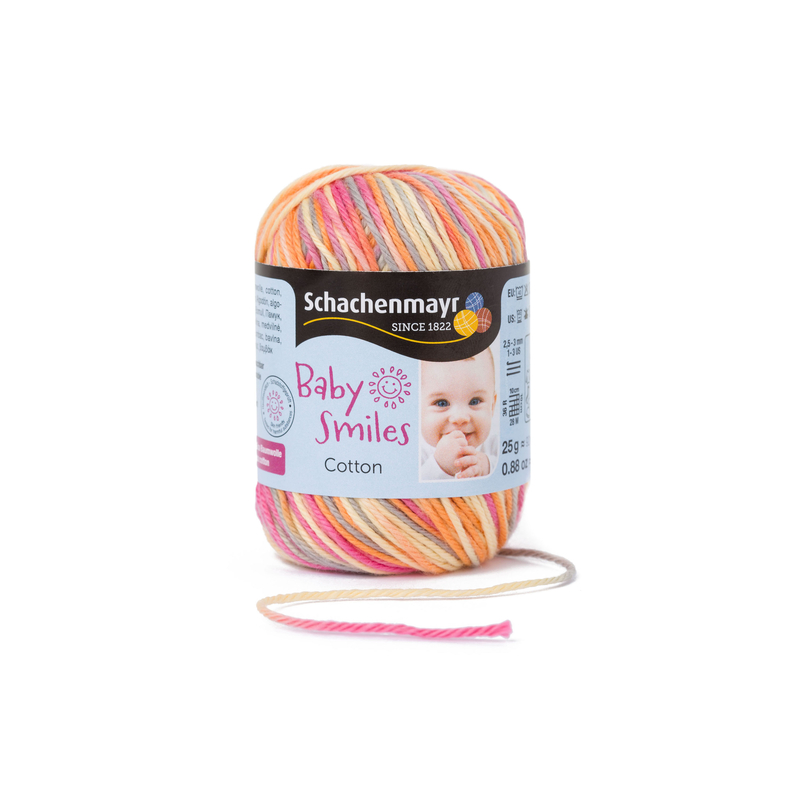 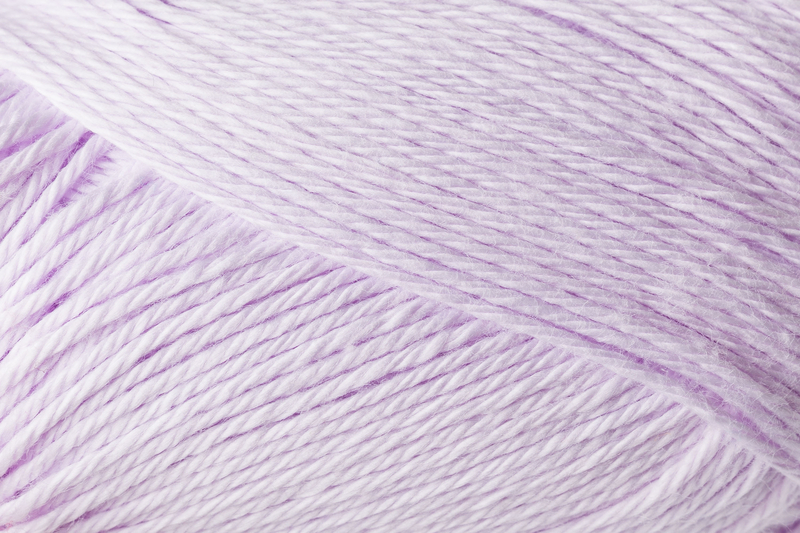 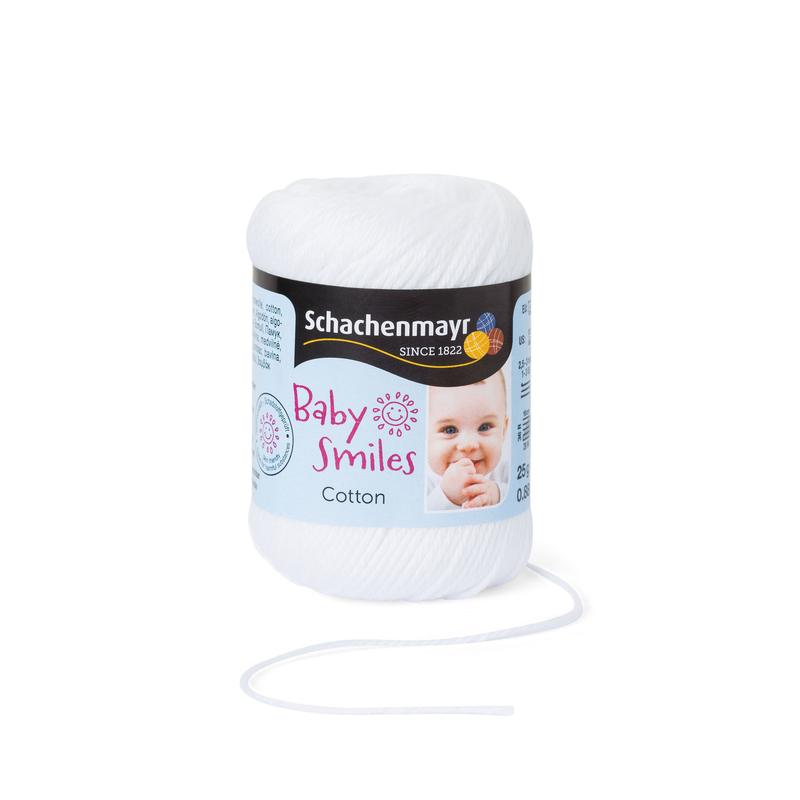 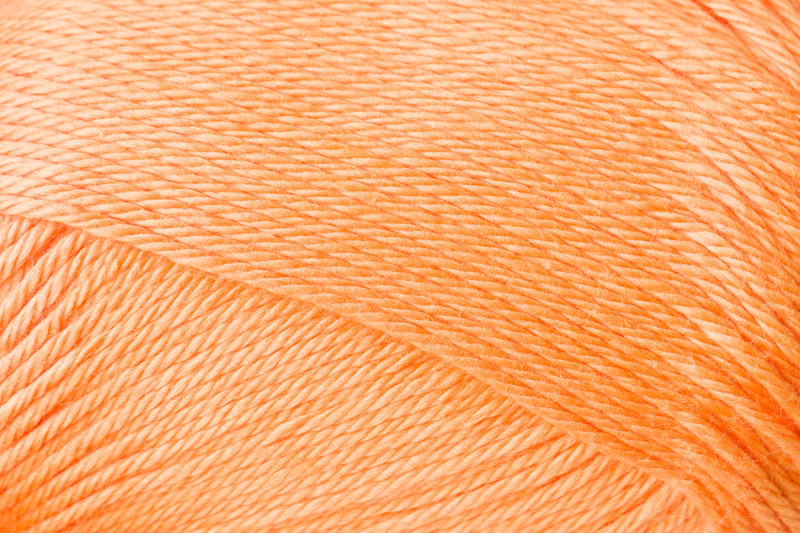 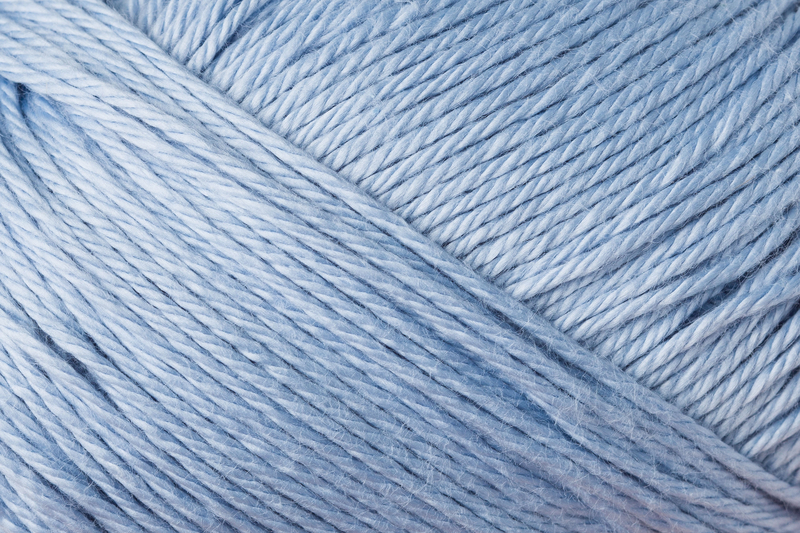 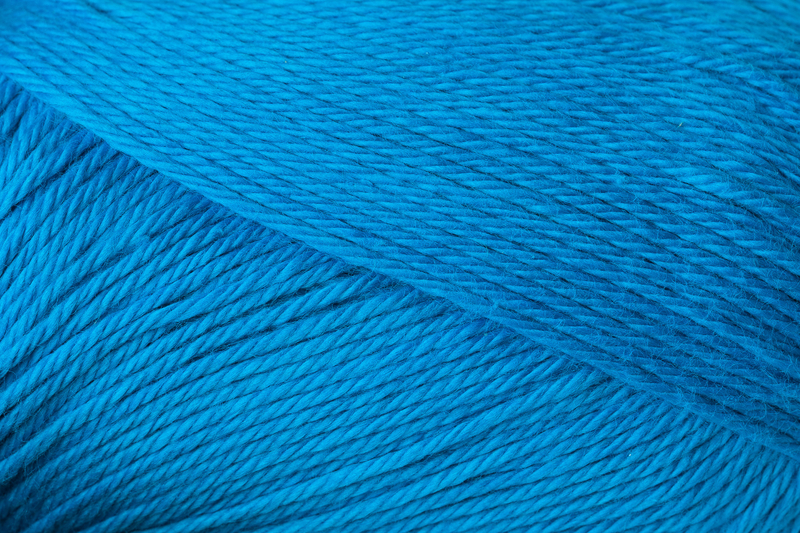 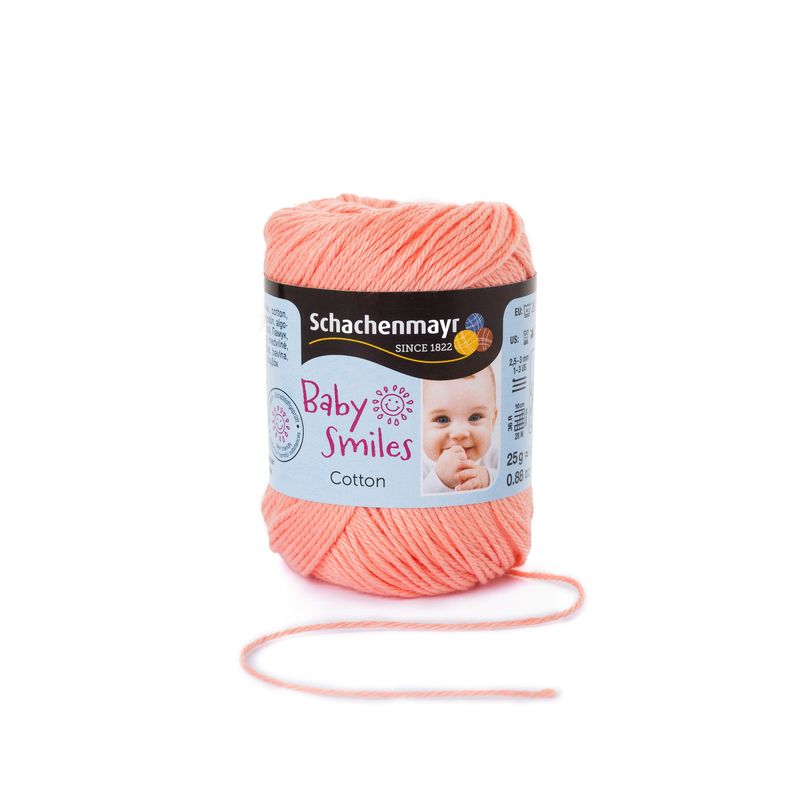 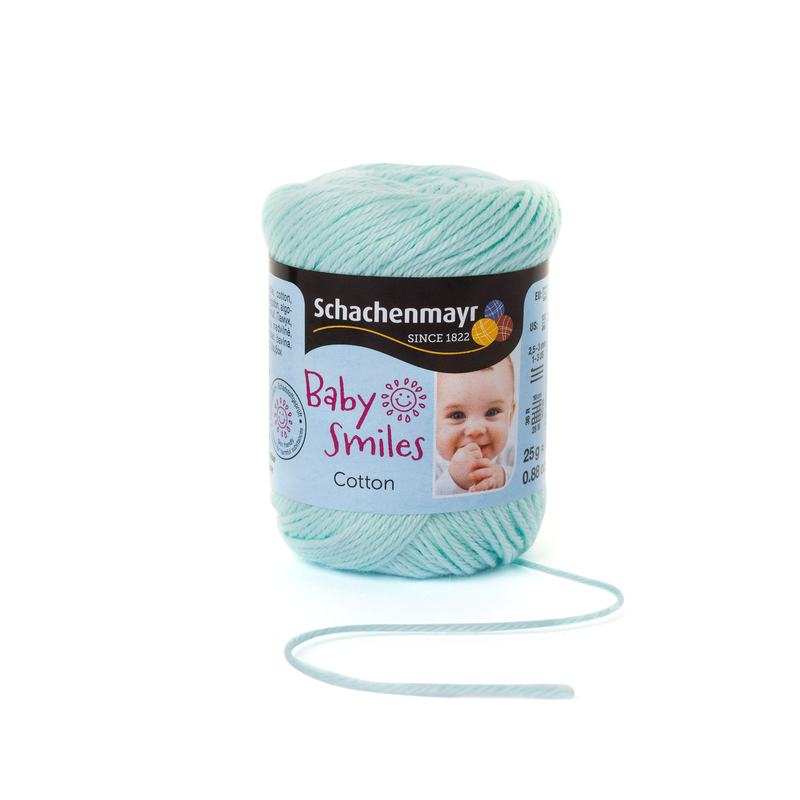 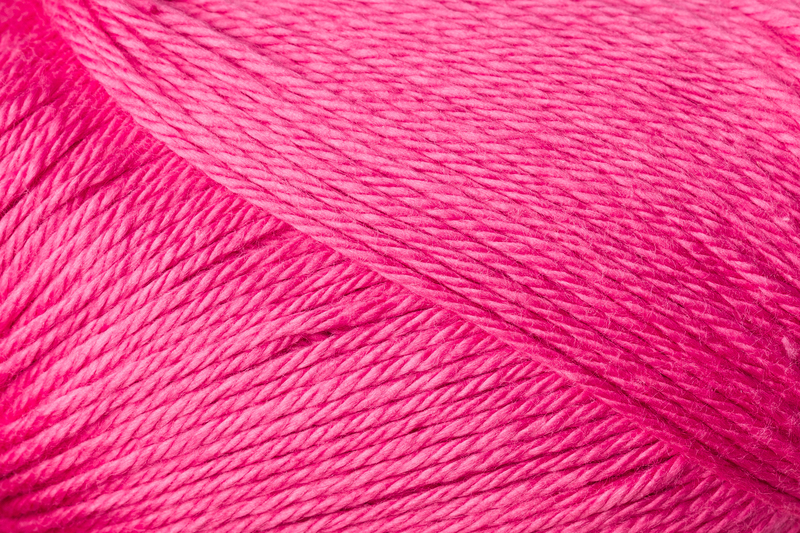 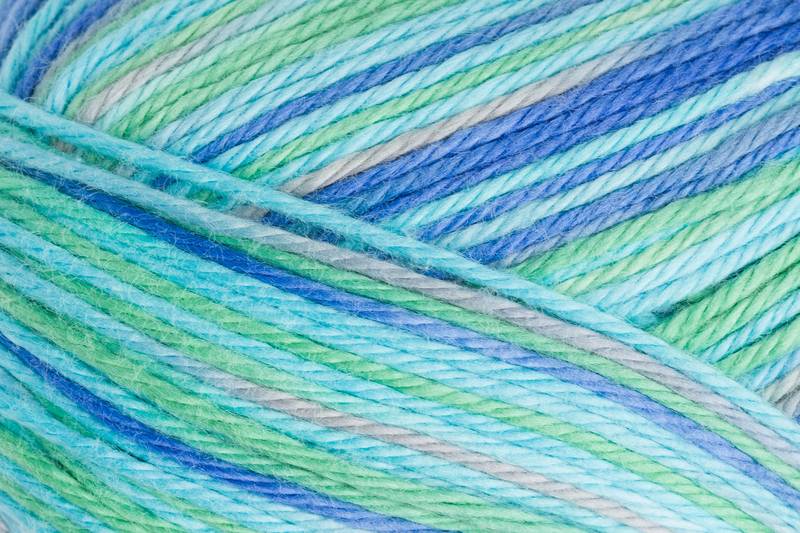 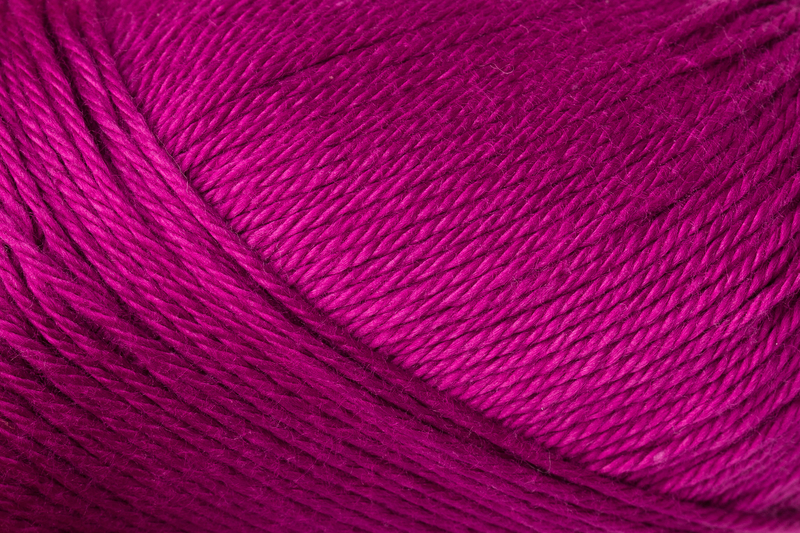 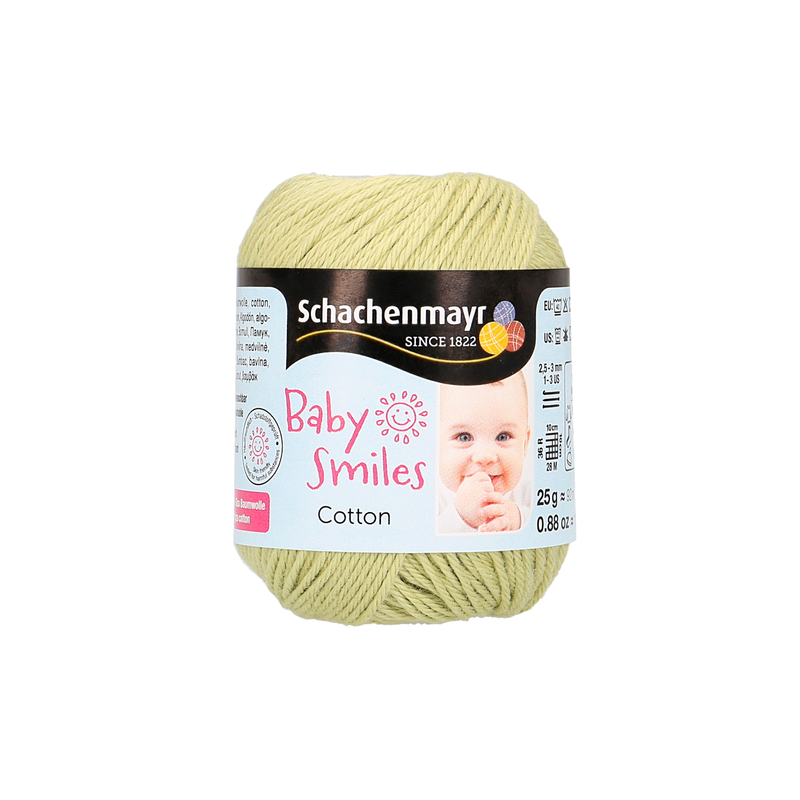 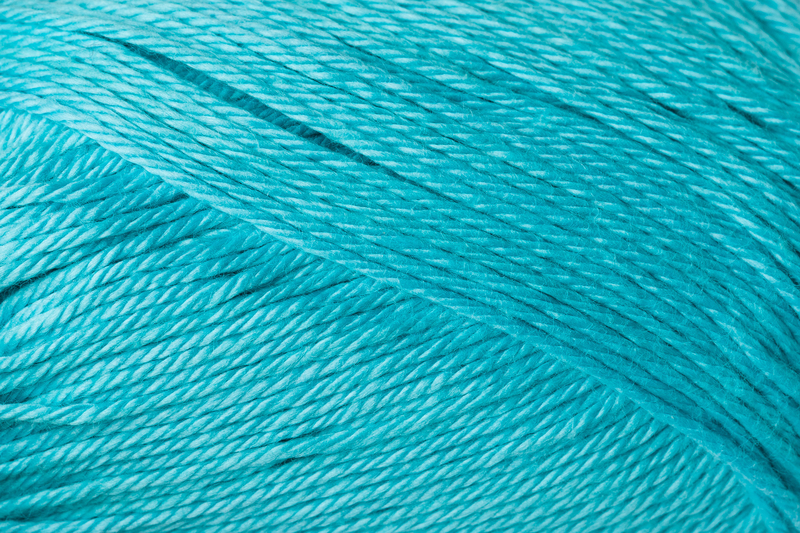 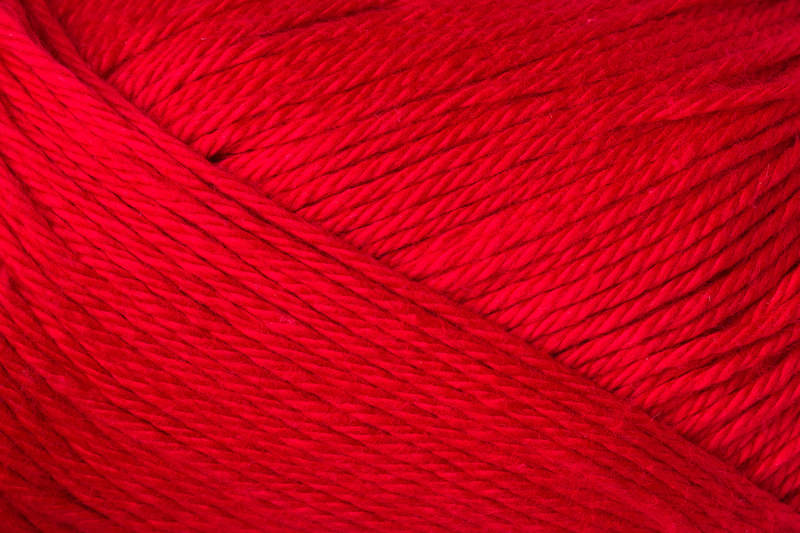 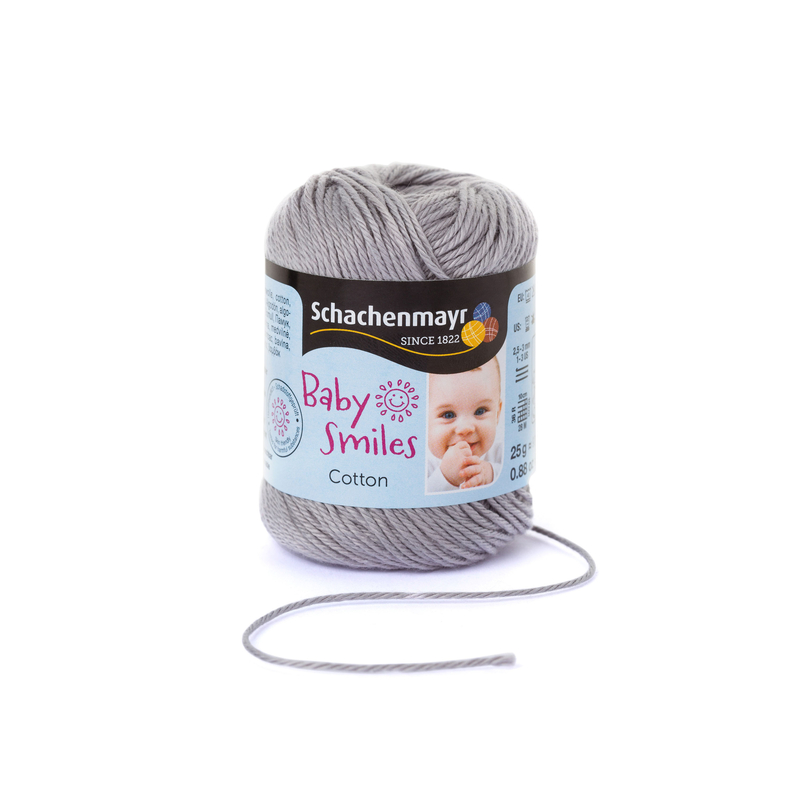 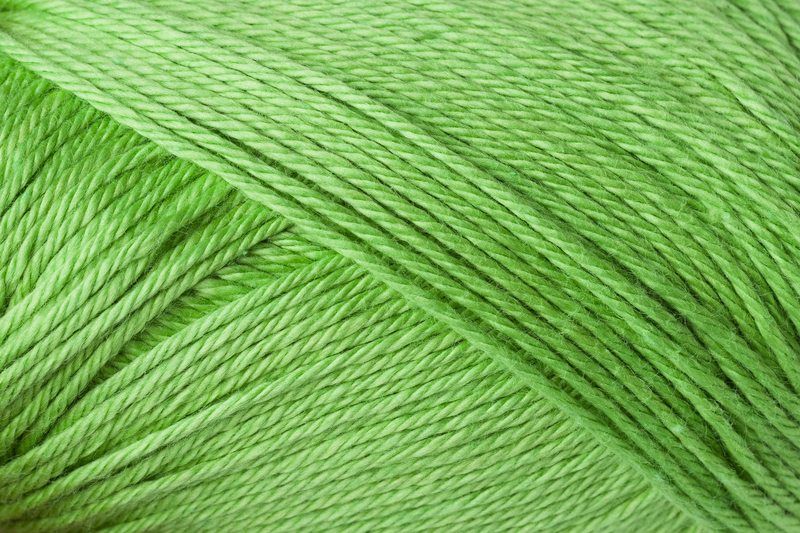 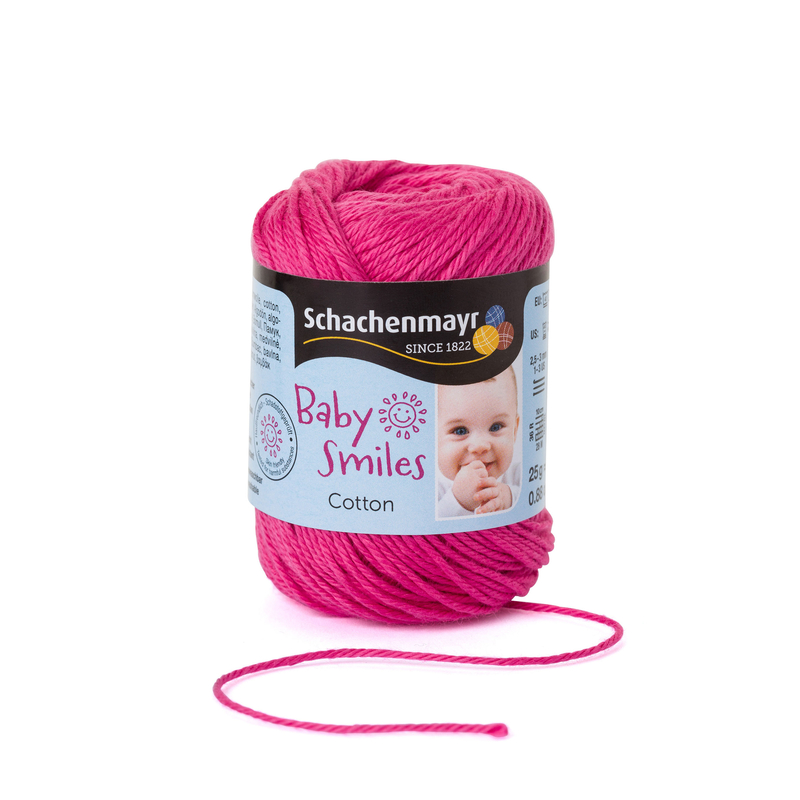 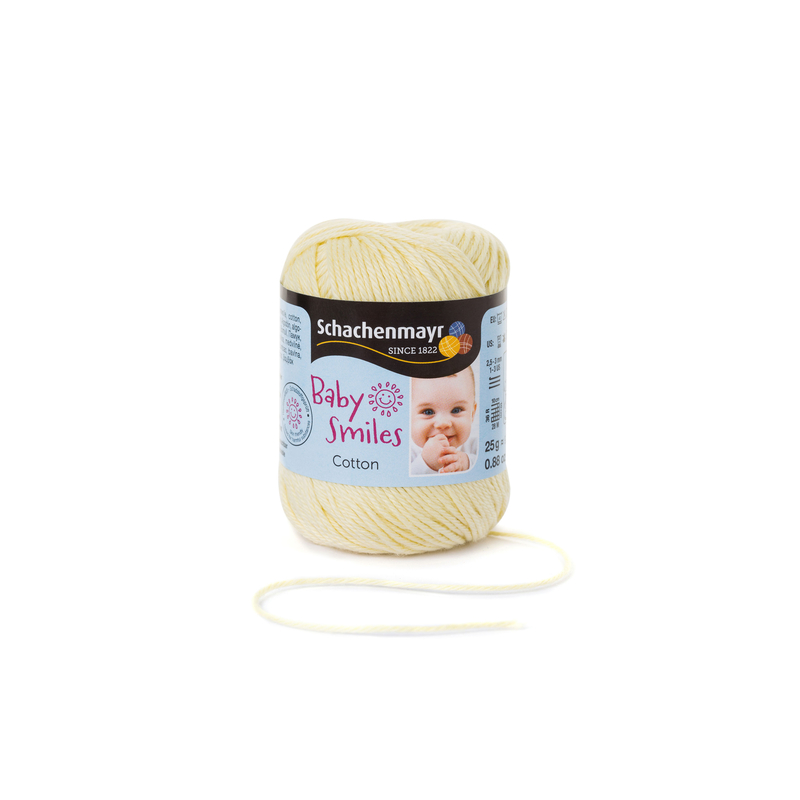 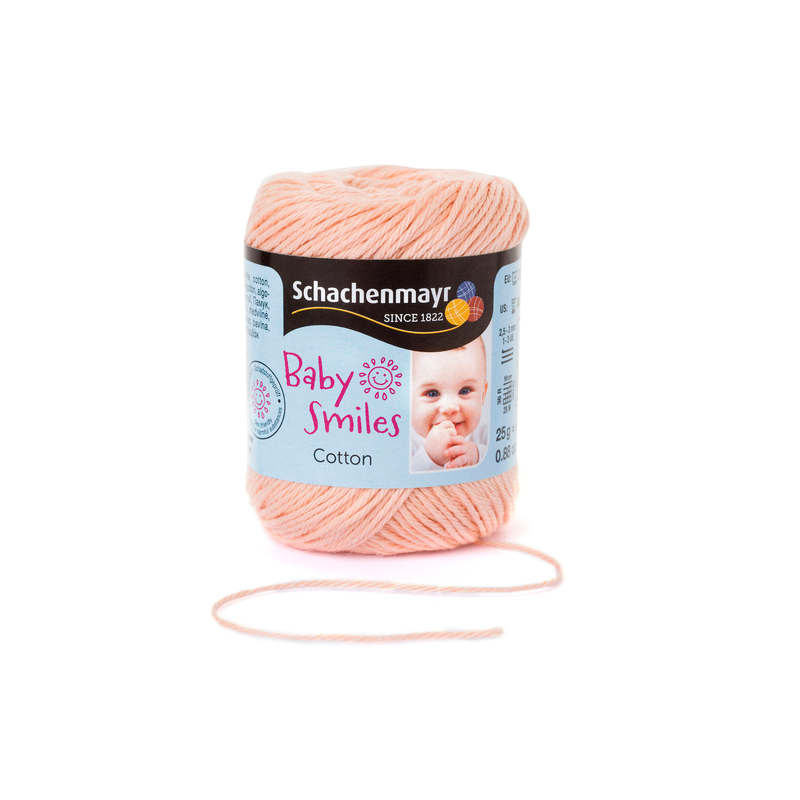 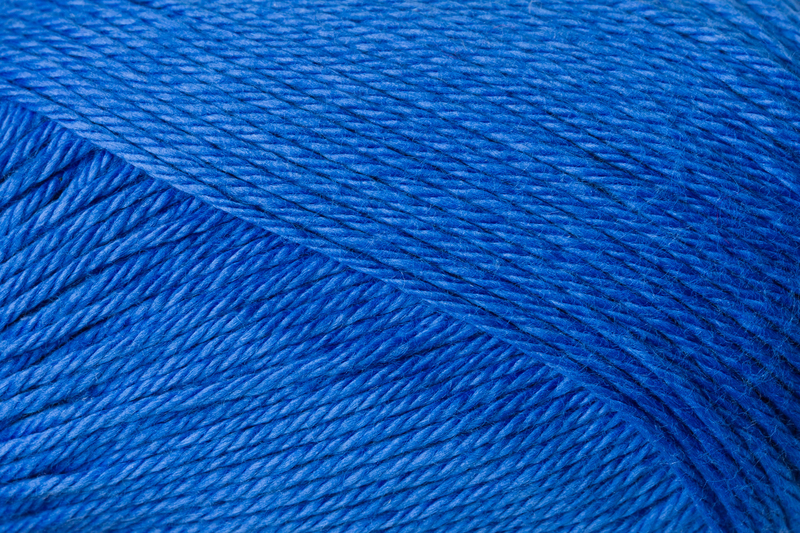 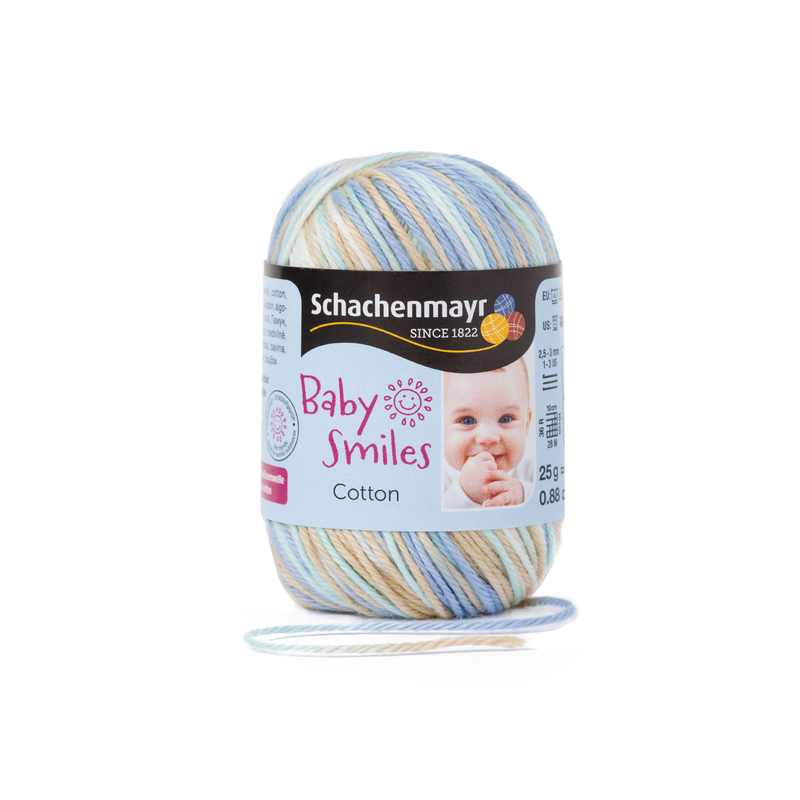 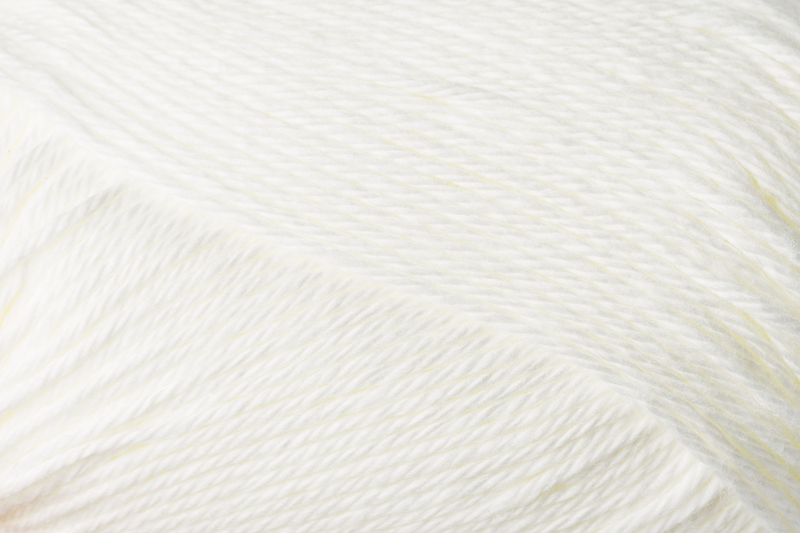 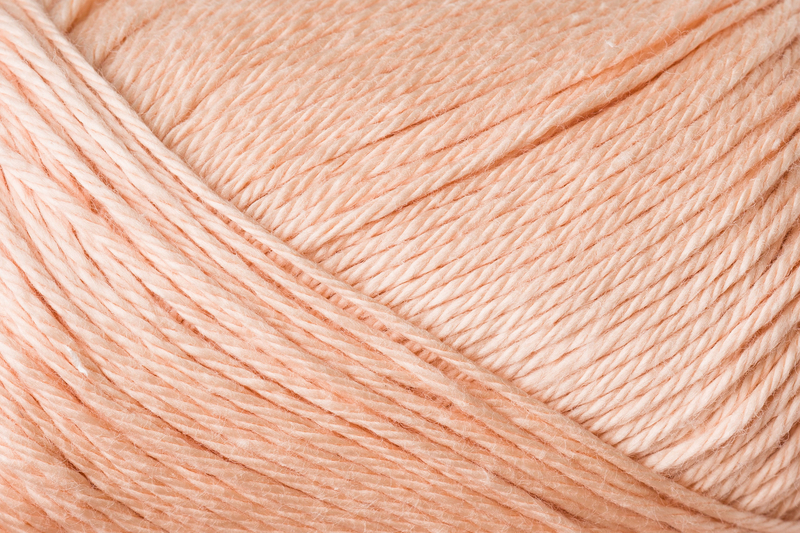 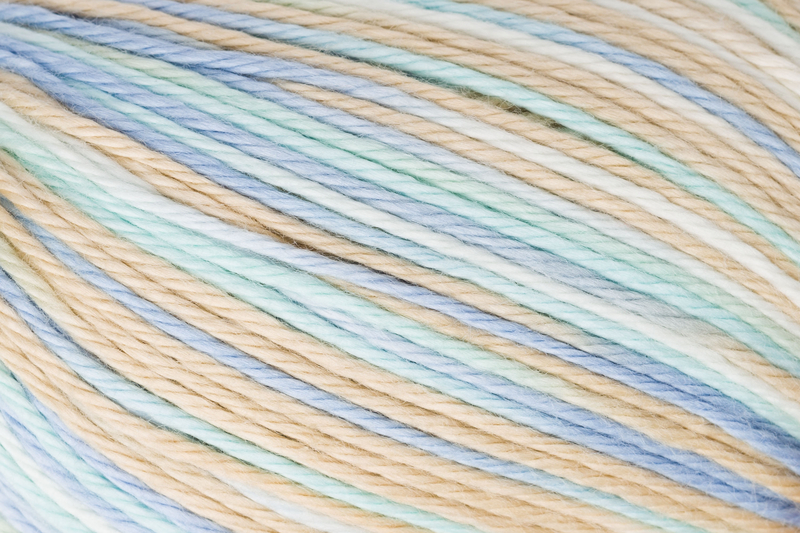 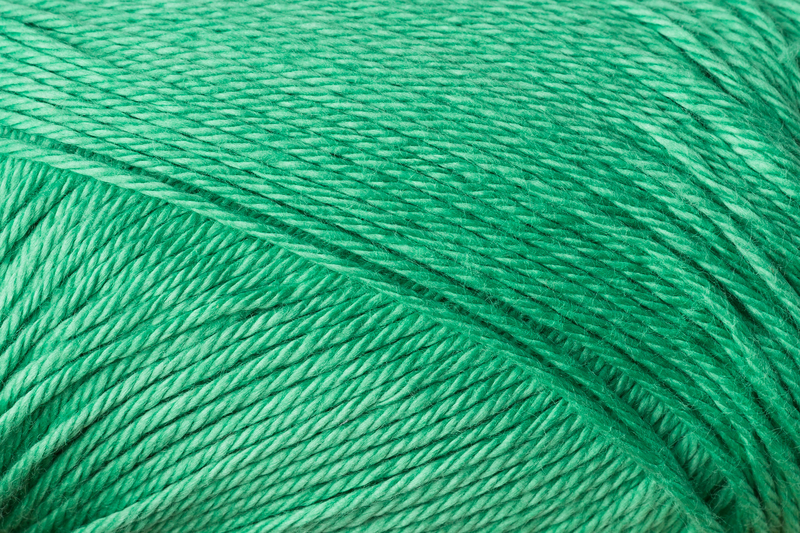 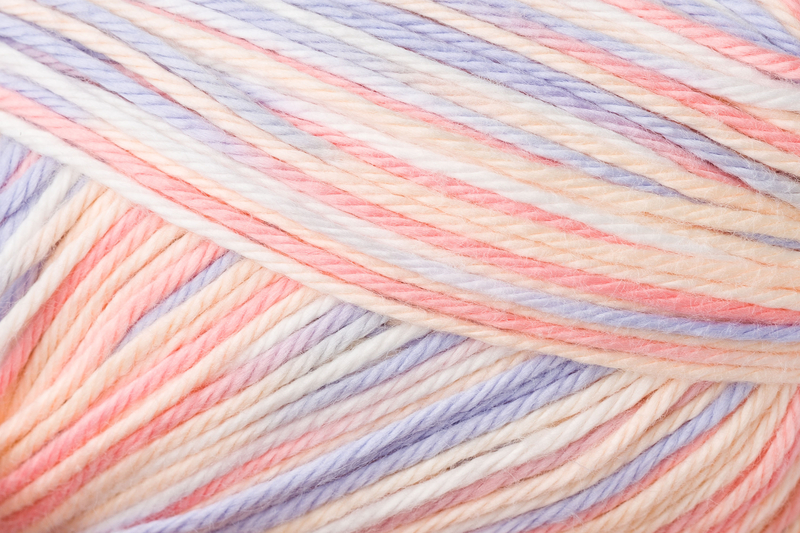 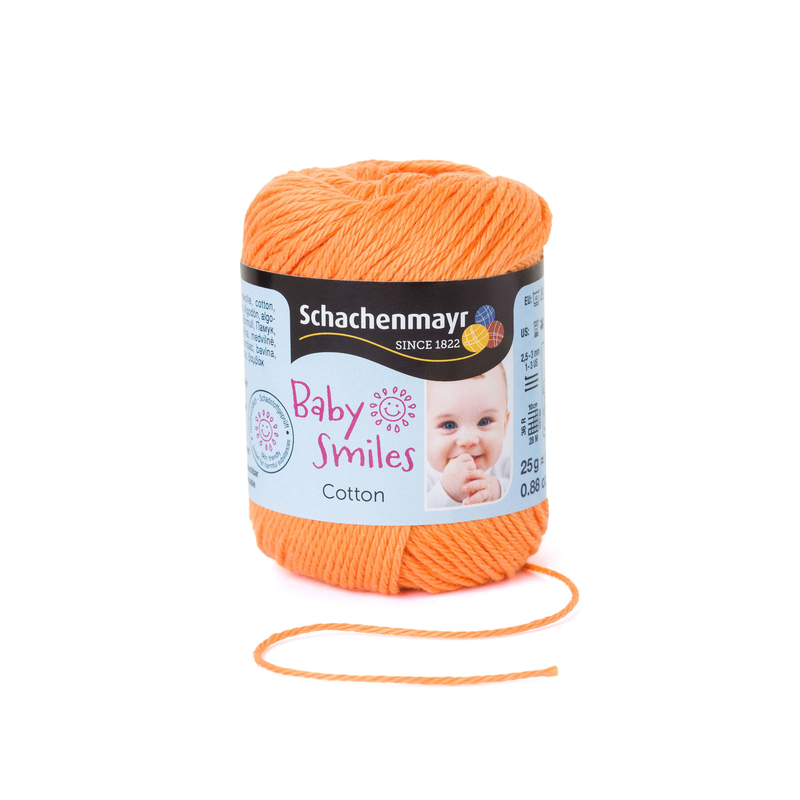 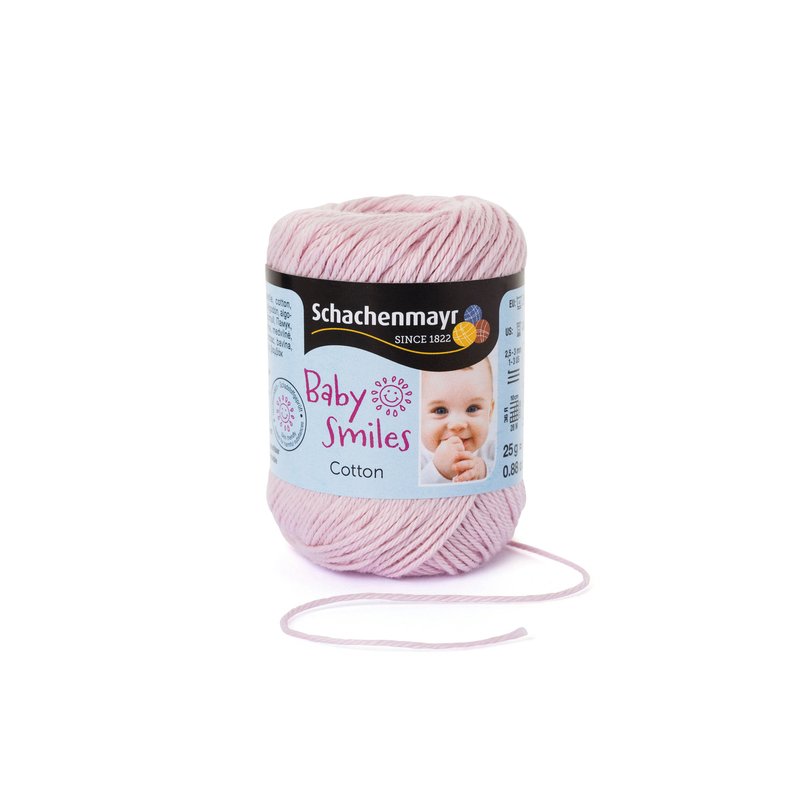 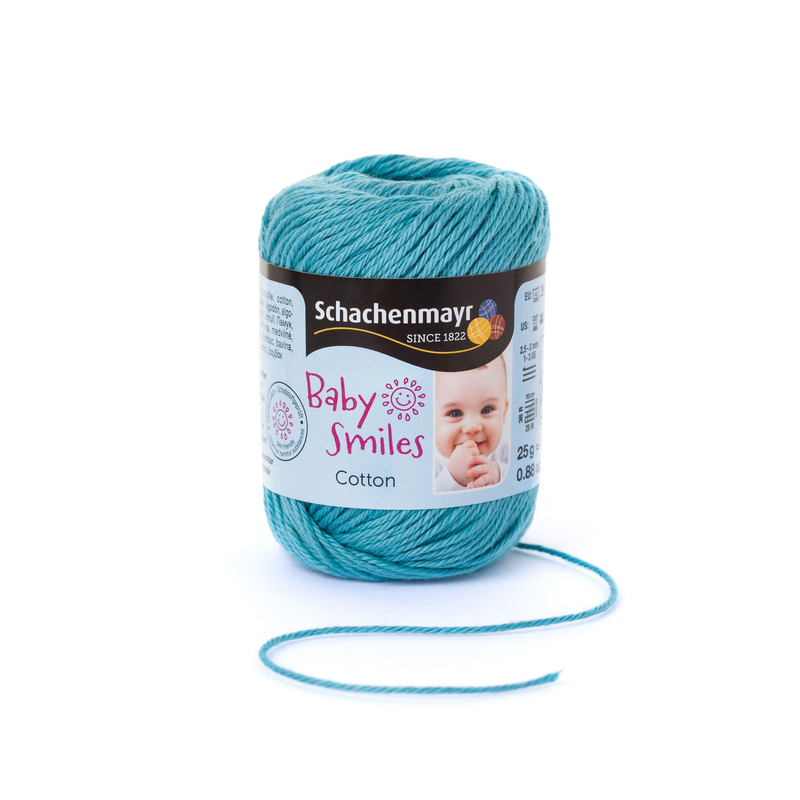 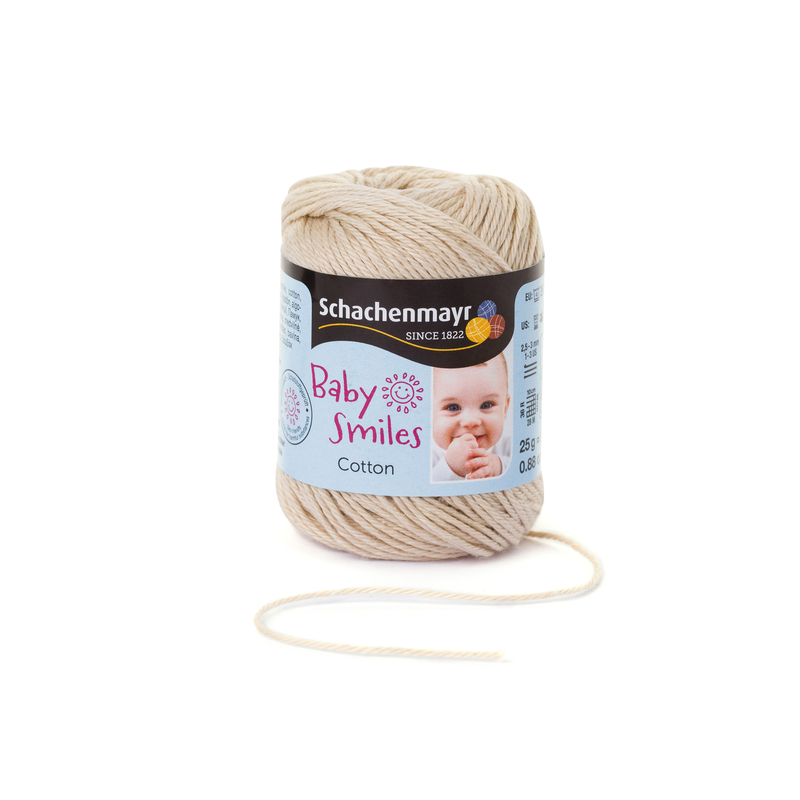 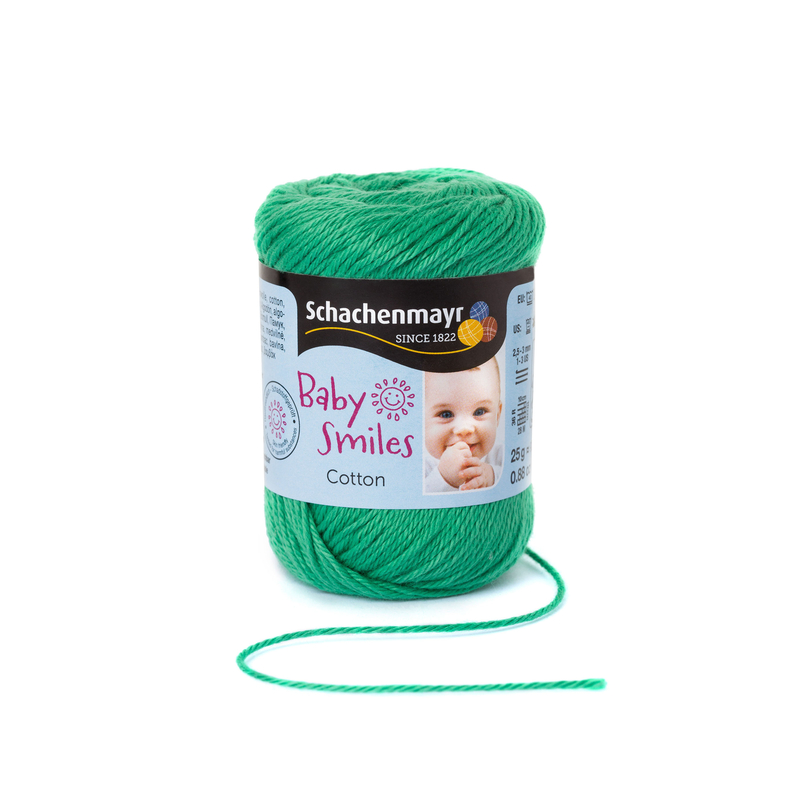 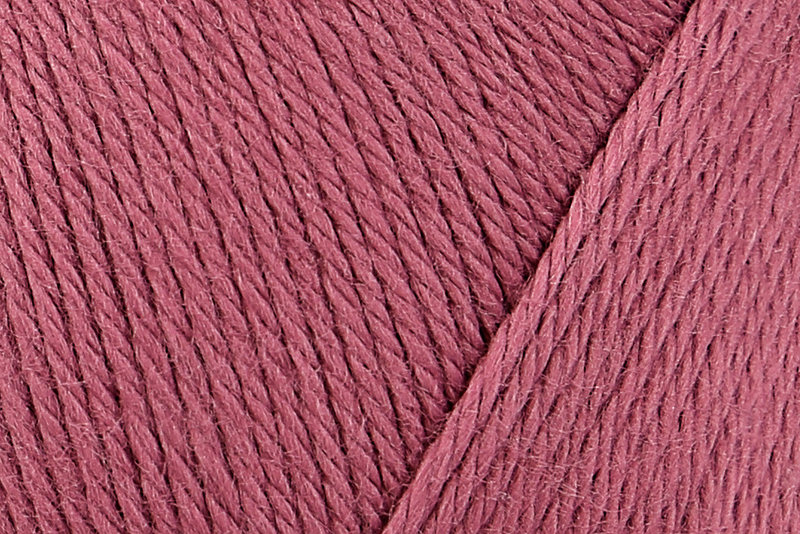 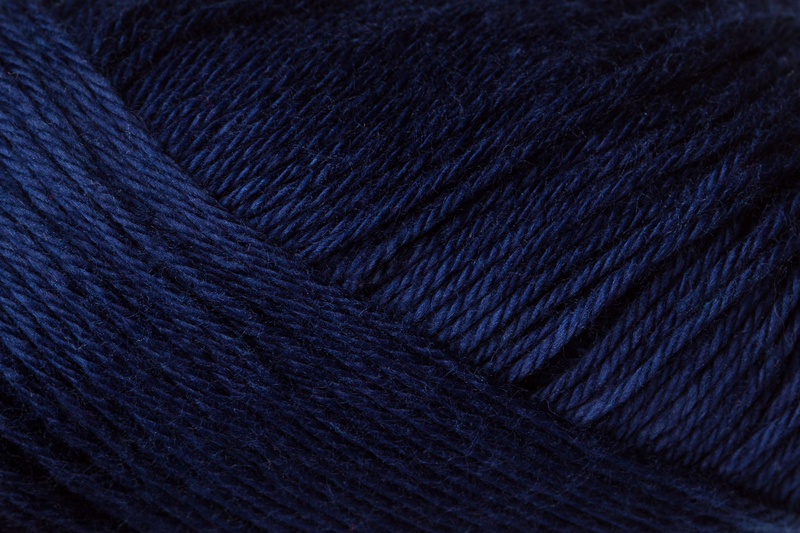 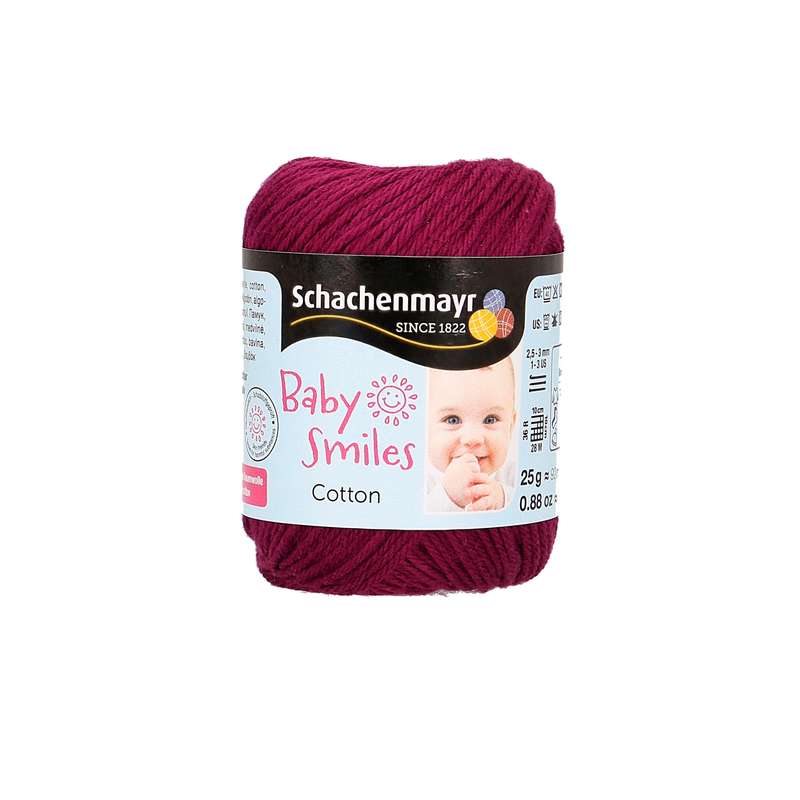 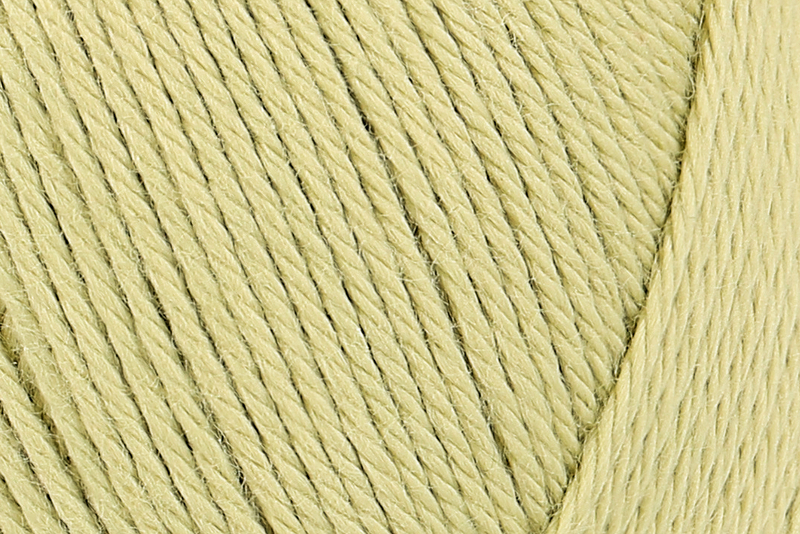 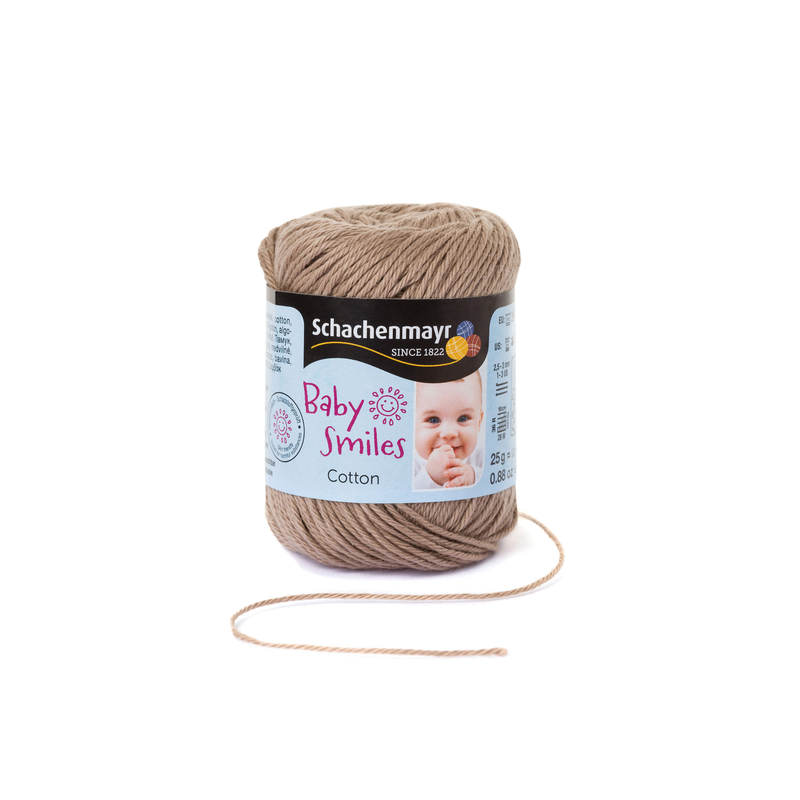 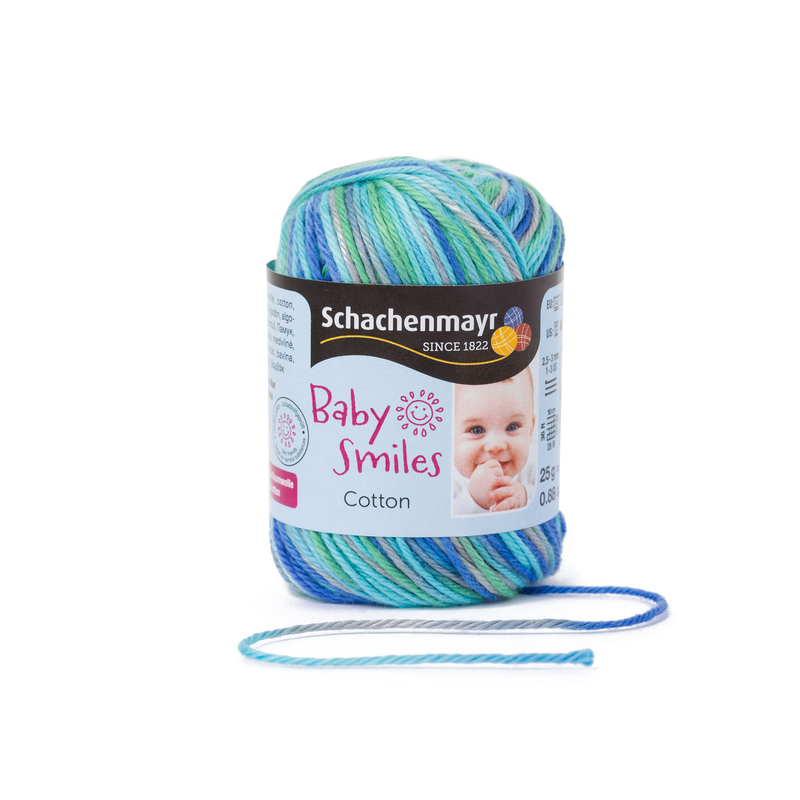 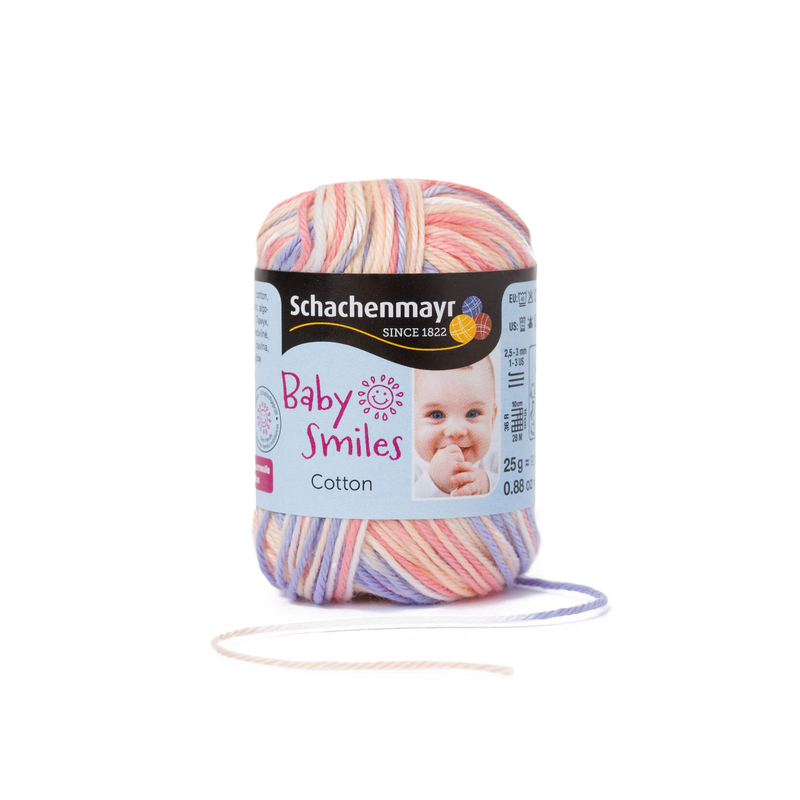 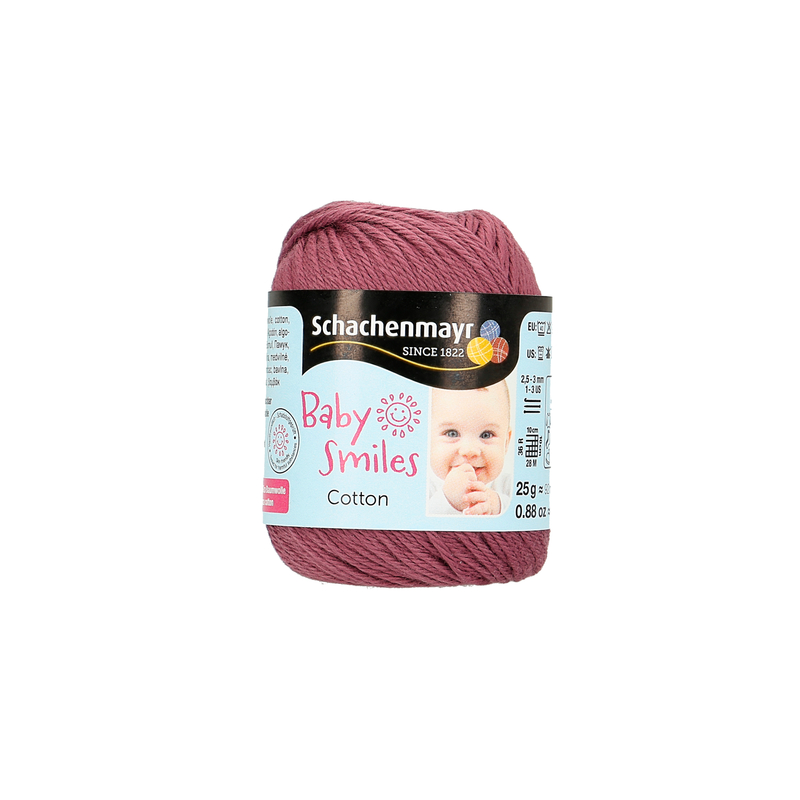 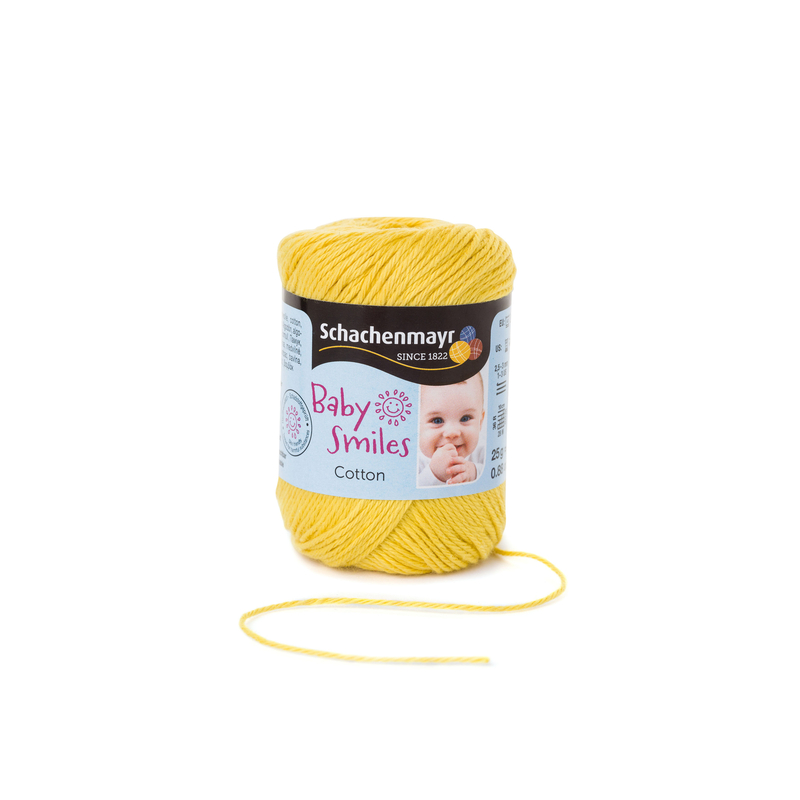 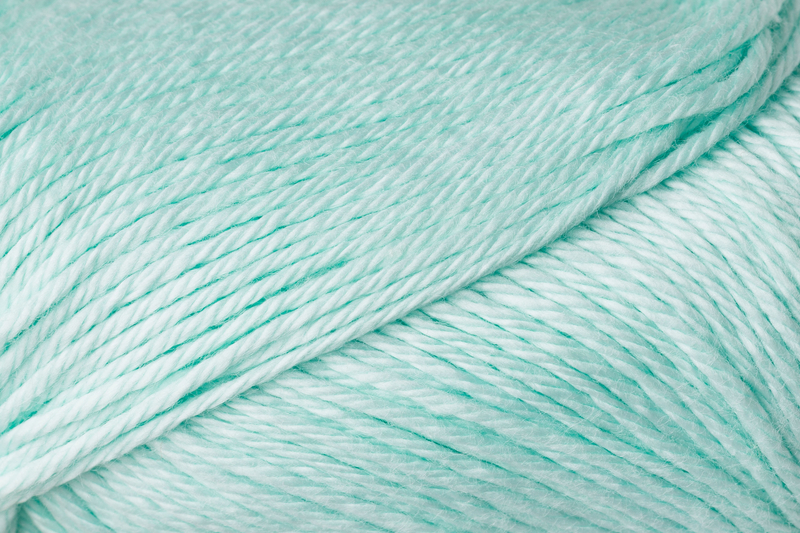 Baby Smiles Cotton is a fine quality, easy-care cotton yarn in beautiful bright colors. 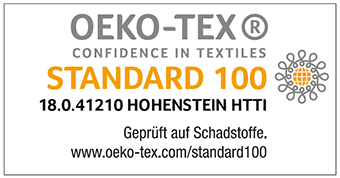 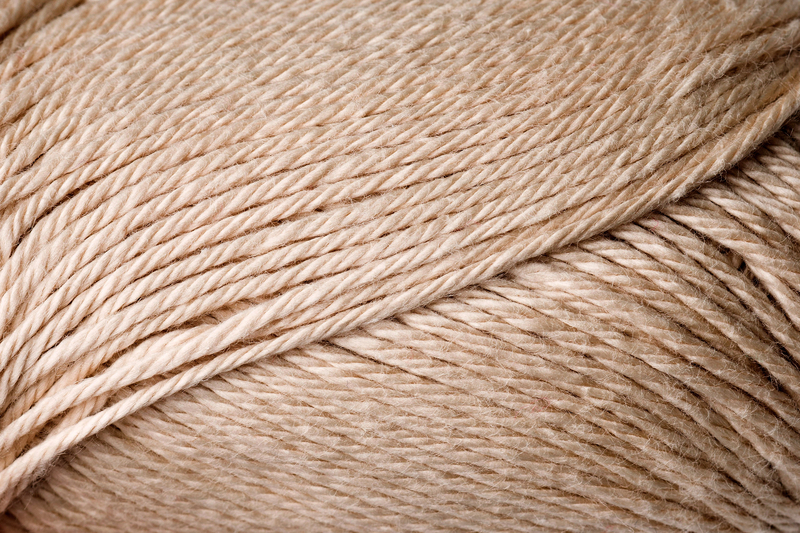 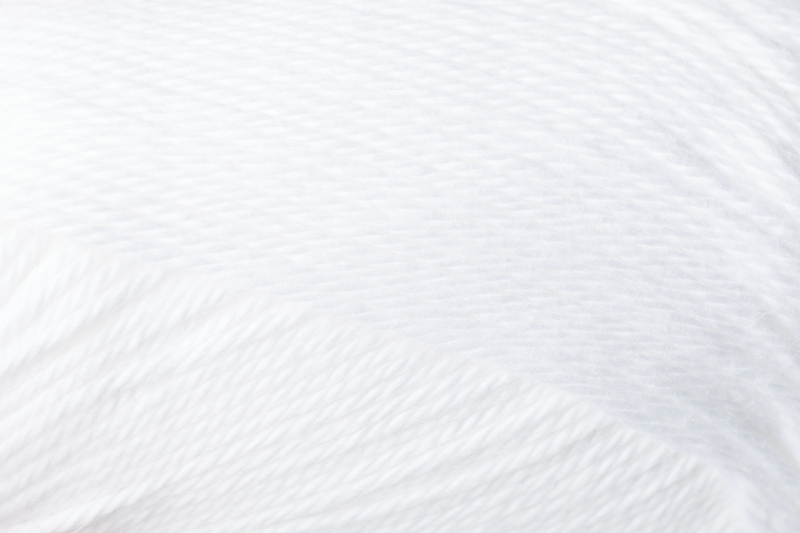 The long fibers of Egyptian cotton make it very durable but soft and inviting to the touch. 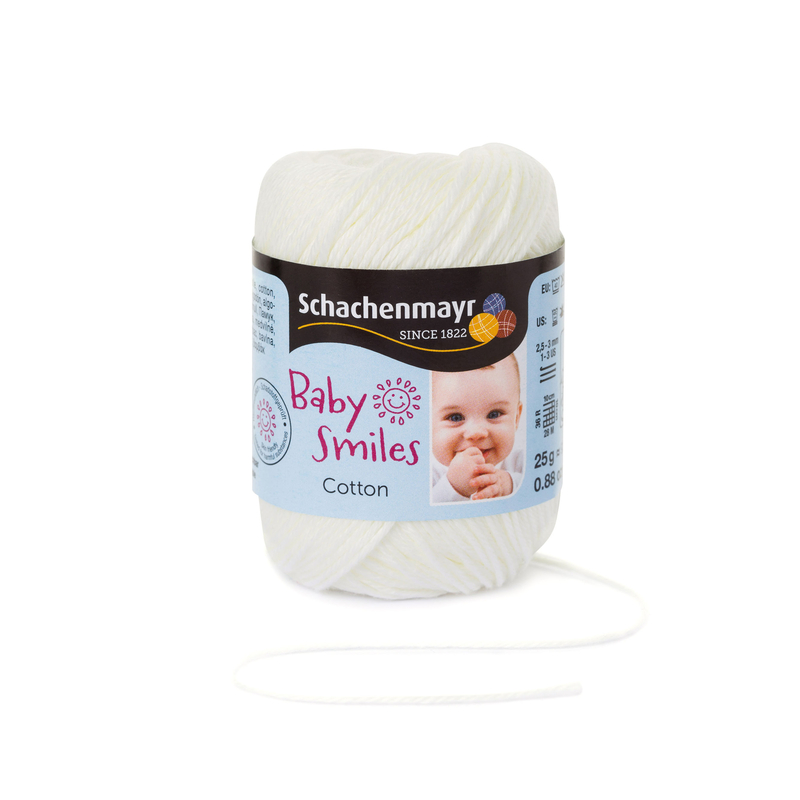 Baby Smiles Cotton is skin-friendly, resistant to sweat and free of harmful substances - perfect for baby’s tender skin.